On that screen you will see the option to change your default language in the Documents section. Change the selected option in the dropdown and click the Save changes button to finalise your choice. 1. If the translation doesn't exist, your default language will be used. 2. 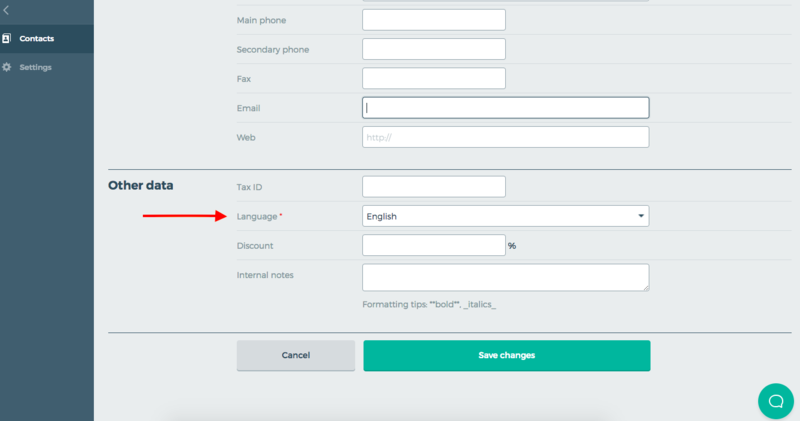 If your customer's country has more than one official language including your default language, your default language will be used. 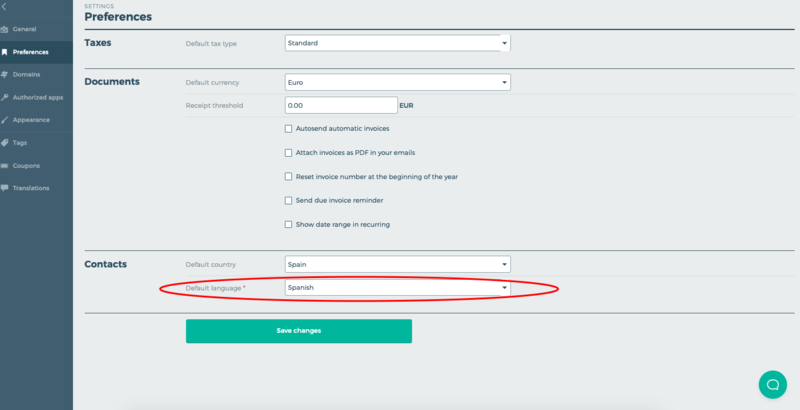 For example, if you send an invoice to a customer in Belgium, where the official languages are Dutch, French, and German, the first matching language one is chosen unless you define another matching default language in your account preferences.